Does your child have loose, frequent runny poos? Children and babies often have diarrhoea, which is usually goes away in a few days or weeks. It can be due to a food allergy/ intolerance. But, chronic diarrhoea is when the symptoms have been going on for more than a month or so. This can be from an infection in the bowel (gastroenteritis), any other infection in a baby can be associated with diarrhoea, a side effect of antibiotics, or a food allergy/ intolerance. The most common food intolerance causing diarrhoea in babies is cow’s milk intolerance. Cow’s milk exposure can come through a formula, or through the breast milk (when mum drinks cow’s milk). Naturally, the cure for the diarrhoea is for the child to go on a dairy free diet (if breast-fed, mother needs to go on a dairy free diet). This is the poor absorption of lactose (caused by lactase deficiency) which causes watery diarrhoea, gas and bloating (this is not a milk allergy). This happens when the enzyme “lactase” is damaged in the gut. Subsequently, the sugar “lactose” does not get absorbed, and this goes on to cause the diarrhoea. This needs to be treated with a lactose-free diet. A classic symptom of coeliac disease is a diarrhoea. This sort due to the poor absorption (malabsorption) of fat – this gives the poos a pale look, and it is often smelly. However, diarrhoea is not found in most people who have coeliac disease or gluten sensitivity. Nevertheless, any person with chronic diarrhoea should be tested for coeliac disease and gluten sensitivity. 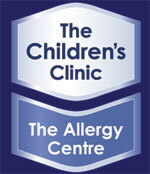 We can help you sort this out at The Childrens Clinic | Allergy Centre, Christchurch. Why are my blood results taking so long? All communication is through the website or email.